"It worked like a champ." Our "silver" lab suffered from chronic flaky skin. 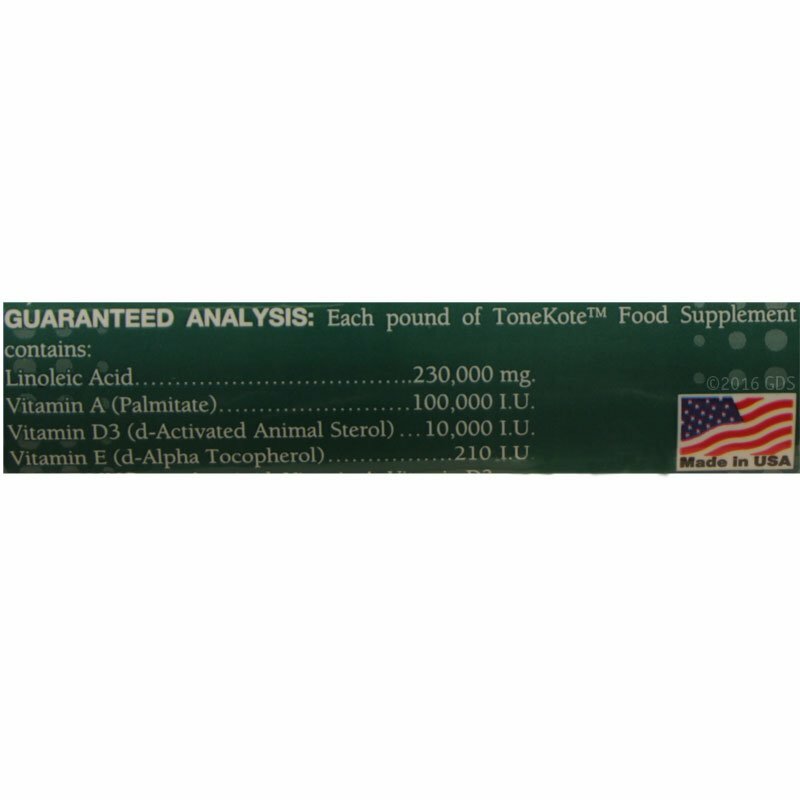 After multiple vet visits with no improvement, we decided to try ToneKote, and it worked like a champ -- no more flakes! "This product help my dogs in so many ways." "I've been using this for a little over 2 weeks, and it's cut our great danes shedding by a good 70%!!!" I've been using this for a little over 2 weeks, and it's cut our great danes shedding by a good 70%!!! I only wish you could buy this by the gallons!!!! 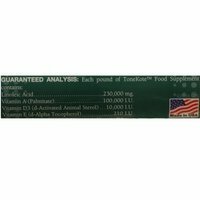 "Great product and great service from gundogsupply.com." Great product and great service from gundogsupply.com. Took about 12 days to notice a difference in his coat and shedding. He waits for me to add it to his food bowl, loves the taste. Pull the trigger... Money well spent! "Great stuff, coat shines and looks healthy." Great stuff, coat shines and looks healthy. Rated 4 stars from 1 user ratings. 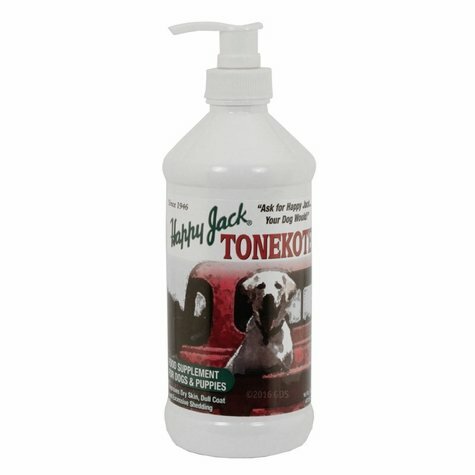 A liquid supplement to overcome conditions normally associated with dull, dry coats, shedding and itching. Contains vitamins A, D, E plus essential polyunsaturated fatty acids necessary for healthy skin and hair. 16 ounce bottle. Made in the USA. Direction: Shake well before using.Give 1 tsp daily per 10 pounds of dog's body weight.May be mixed with food or given separately as a tasty treat.If skin is very dry or coat is very dull,dosage may be doubled for the first five days. Contains: Linoleic Acid,Vitamin A(Palmitate),Vitamin D3(d-Activated Animal Sterol). Dyne High Calorie Liquid Dietary Supplement -- 16 oz.